The Fiddlers' Association of Iowa is more than an excuse to get together and fiddle, it is also a way to meet and greet new fiddlers, other musicians, and those that enjoy fiddle music. We welcome everyone from beginners to state champion fiddlers, plus anyone who plays the piano, guitar, bass, banjo, mandolin, harmonica, bones (spoons), and, of course, the fiddle. Please enjoy our site, sign the guest book, and if you would, come out and have some fun with us!! 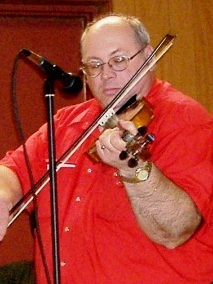 If you are interested in becoming a member of the Fiddlers' Association of Iowa, please come to one of our meetings, and feel free to take part in the music, or just sit back and listen. Any of the members or officers can fill you in on how to join (including the secret initiation ceremony). Membership fees are two dollars per year for each member. If you have any other questions, you can contact me or any of the officers. We will be happy to help you in any way we can.